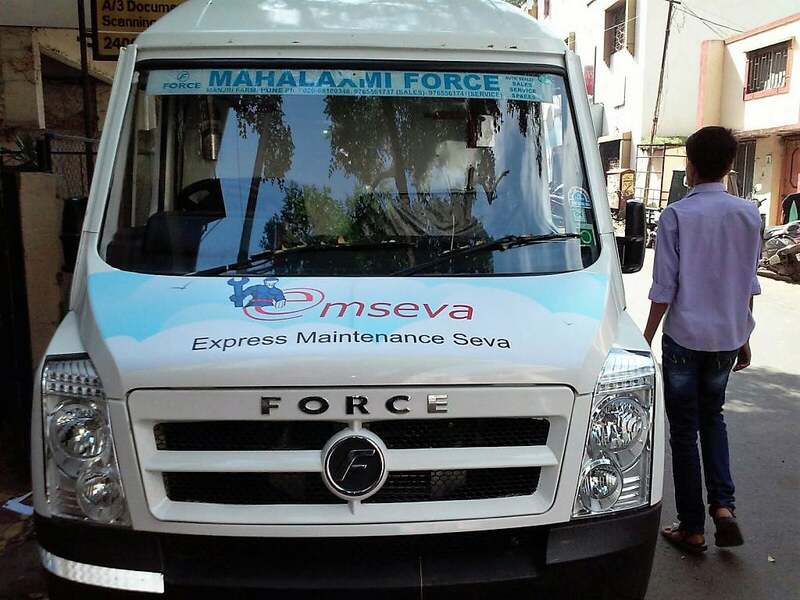 Most commercial vehicles these days bear their company logos, tag lines and motto. Taxi fleets are identified by their brand colors. Trucks prominently display the products of the companies they ply for. Even hospital ambulances carry custom prints and messages. 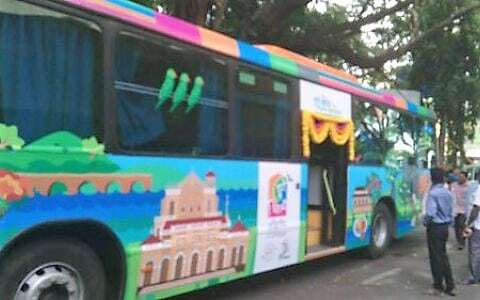 Apart from this, public utility vehicles like the municipal buses and auto rickshaws eagerly sell ad space on their sides. 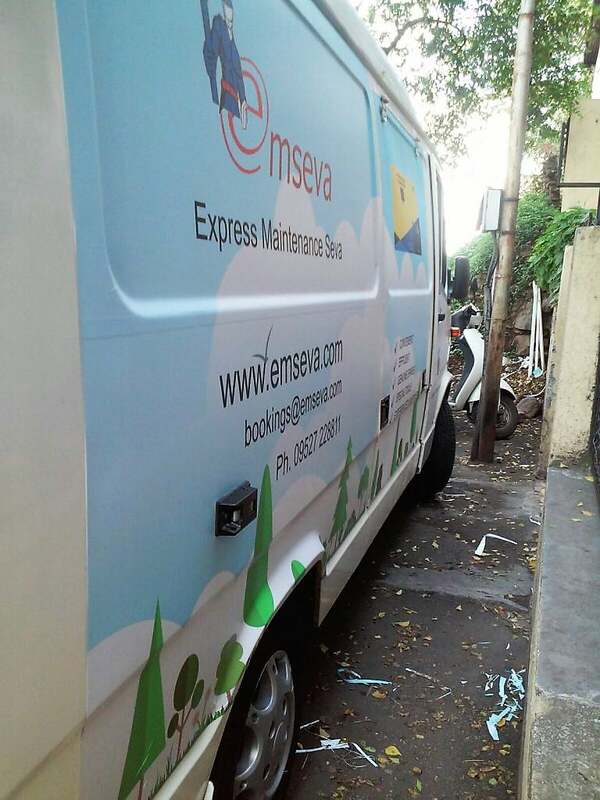 Printed advertisements on vehicles are an excellent way to display products and create brand identification. Apart from this, vehicle branding is economical and has a much longer retention value than ads running on electronic media. Conceptualization and design are perhaps the most difficult part of printing on automobiles. While creating the design the artist needs to accurately measure the dimensions of the vehicle. You need to check that important design elements like logos, text, etc., do not get cut out by protrusions like door handles, fuel caps or mirrors. The sides of vehicles especially, have a lot of breaks like the edges of doors and windows. The artist needs to create a design which flows as a cohesive whole, across these breaks. 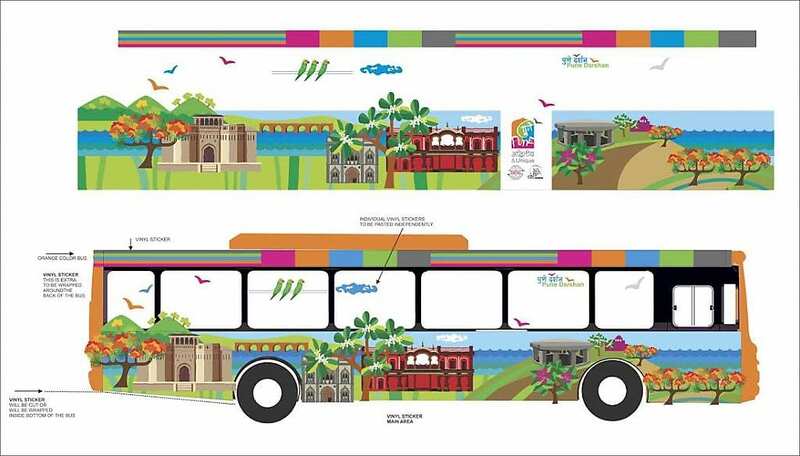 Shown at the top of this page is an artist’s rendition of how a bus should be branded. 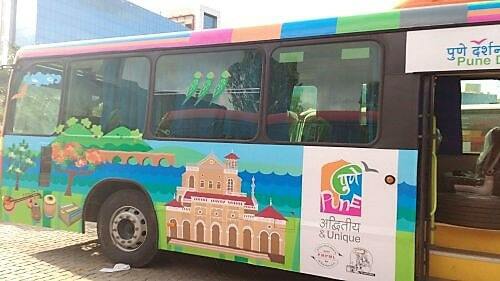 Ms. Falguni Gokhale of Design Directions created a unique identity for the Pune Darshan buses. 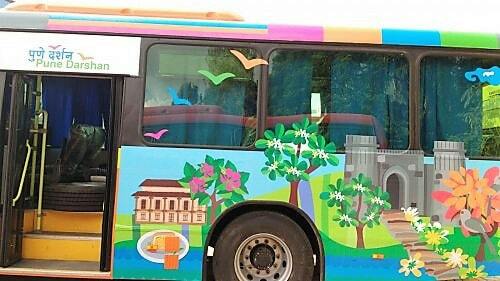 Apart from being vibrant and beautiful, the design flows seamlessly along the side panels of the vehicle. Ms. Gokhale also created a special logo for the Pune Darshan initiative. At Orchid, we do not design print jobs. The same has to come from your end. If you are in need of designers to help you with your vehicle printing project, please click here. Shown below is another job executed of the car and bike magazine, Overdrive. In this case the job was to cut the vinyl in a particular shape and then paste the same on the sides. 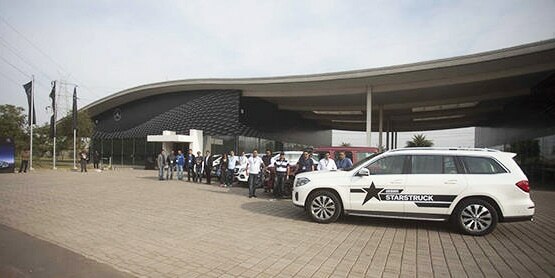 Mercedes Benz runs an annual event called ‘Star Struck’ to showcase the capabilities of their luxurious SUVs. 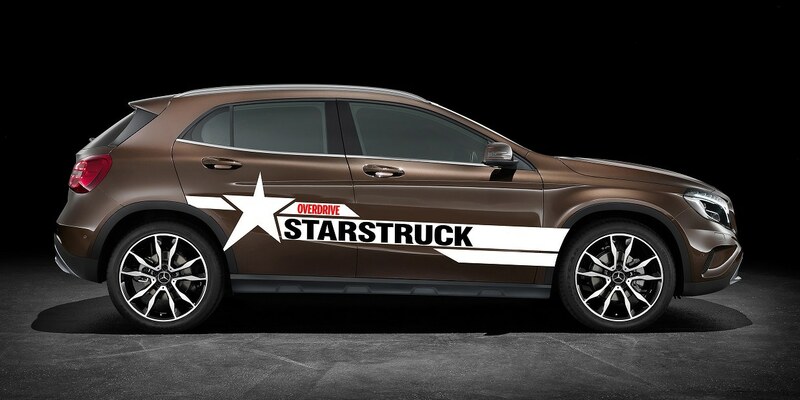 You might have noticed the play of words, wherein star struck also refers to the Mercedes logo. The event organizers at Overdrive tasked us with the job of cutting the vinyl in the shape of a shooting star with the word ‘Star Struck’ overprinted on the same. Once the design is ready, Orchid Digitals, then prints the same on a special vehicle vinyl having very strong outdoor strength. The printed vinyl is laminated for further print protection. 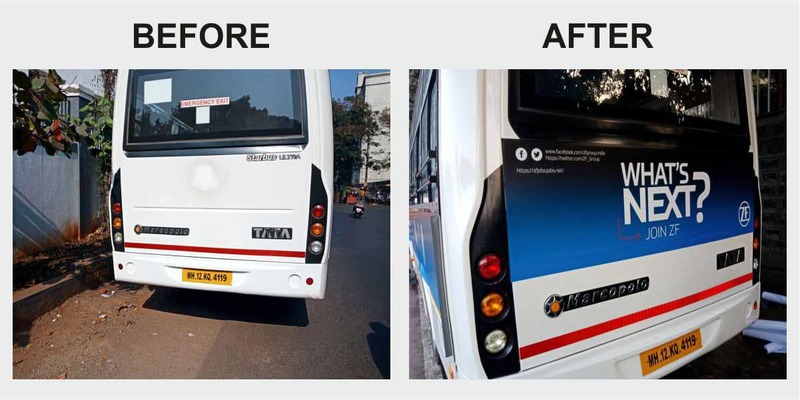 The print industry refers to this vehicle print media as ‘Bubble Free Air Release Vinyl.’ This product is specially adapted for outdoor applications and for pasting on the curved and contoured surfaces of cars and buses. While pasting vinyl on any smooth surface, applicants (or the guys who are doing the vinyl pasting) face a very common problem. Air bubbles get trapped between the adhesive side of the vinyl print and the surface of the vehicle. The trapped bubbles look ungainly. To get a smooth finish, applicators use a squeegee (a flat smoothing tool) to paste the vinyl. The bubble free air release vinyl has a fine, nearly invisible mesh on the adhesive side. This mesh, as the name suggests allows the air to escape, at the time of pasting. This allows for a very smooth finish, even on the contoured and curved surfaces of motor vehicles. We use our high resolution, Mimaki and Roland eco solvent printers to print images on the above vinyl, at a very high resolution. These images are further protected from rain and sunlight, by using a clear, matt finish, over laminate. 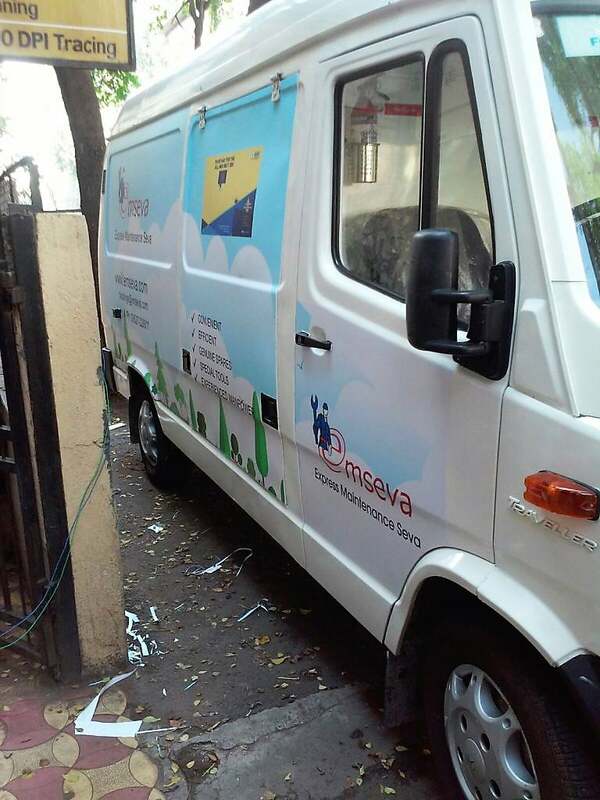 Once the printing is done, our team of fitters / pasting guys who will then paste the job on your vehicle be it a car, van, truck or bus. Radium reflective stickers are another product that fall under the category of vehicle branding. Pay close attention to the next ambulance that you see in the evening or at night. You’ll find that the letters spelling out ‘AMBULANCE’ reflect light at night time. A special radium vinyl is used to create this effect. Emergency service vehicles like ambulances, fire trucks and police jeeps need to be marked with radium reflective stickers by law. But even private vehicles use reflective stickers to make their logos and taglines stand out. The bubble free vinyl mentioned above, is indicated for long term and permanent projects. 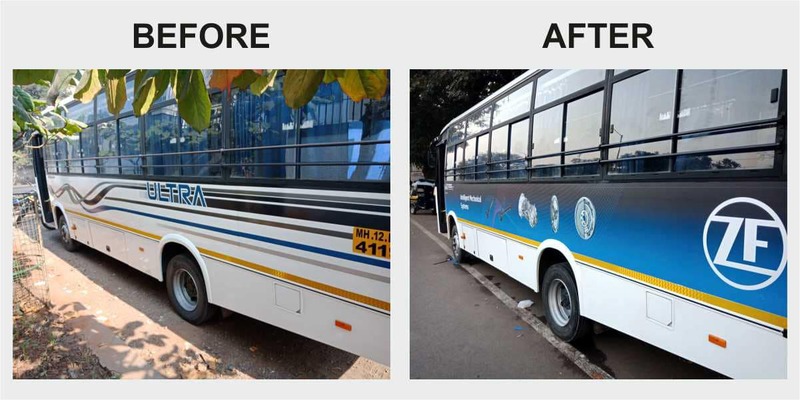 But many ad campaigns, especially the ones on municipal buses and rickshaws need a temporary and more cost effective solution. Here, the primary concern is of economy rather than print durability. Rather than print on a few self owned automobiles, companies run short but intense ad campaigns across hundreds of rickshaw hoods and bus panels. Public transport companies run fleets of municipal buses, taxis and rickshaws. For a nominal fee, they lease out ad space for short periods like a month or two. They allow ad companies to paste messages on the sides of their vehicles. 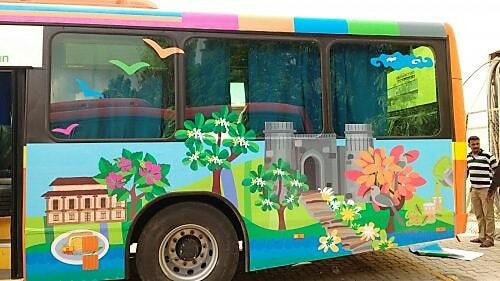 For this application, Orchid offers extremely cost effective short term use, vinyls. High resolution air release vinyls with lamination 90/- per sq. ft. 70/- per sq. ft.
Clear / transparent prints for windows 90/- per sq. ft. 70/- per sq. ft.
One way vision prints for windows 90/- per sq. ft. 70/- per sq. ft.
Radium reflective prints for high visibility 100/- per sq. ft. 120/- per sq. ft.
Low cost short term rickshaw vinyls 16/- to 18/- per sq. 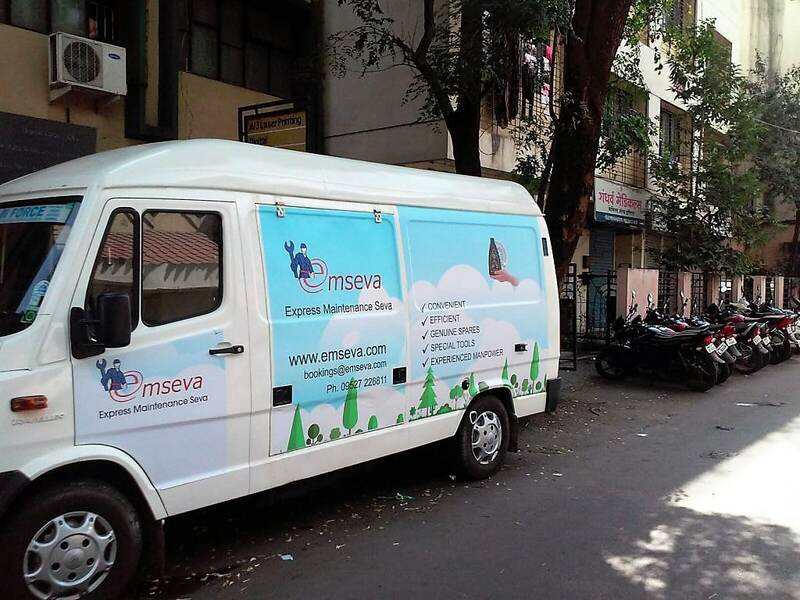 ft.
Avinash sir, vehicle branding will cost you 90/- per square foot… Can you mail me your designs…? Sent you an email through we transfer need your quote for vehicle Branding. 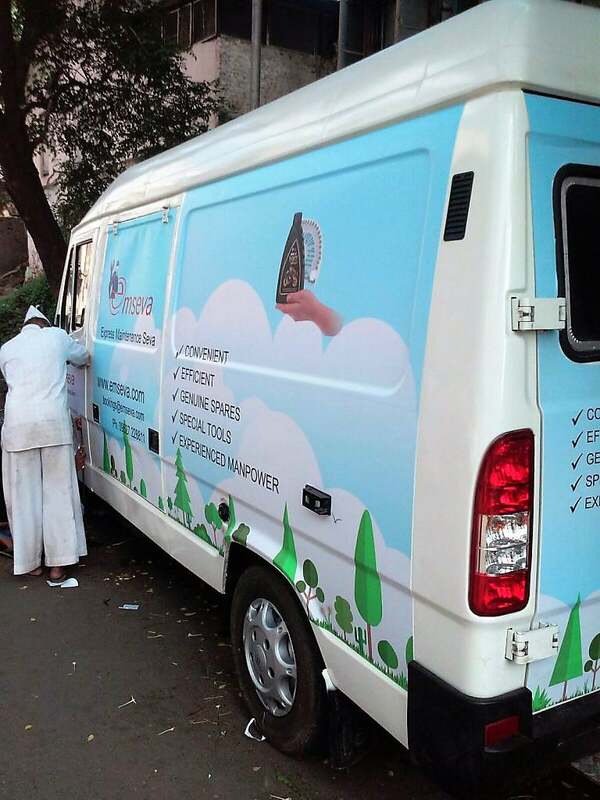 Hi wanted to to branding on my eco van. Apologies Sir, We do printing. You need to get in touch with an advertising company for your requirements. We have an immediate requirement for Tata Ace and Maruthi Omni. Can you please mail us the quote and time required to do the same. Are there any pre-requirements for advertising on vehicles? Can i do the same on rented/leased vehicles? No prerequisites Sir, Our vehicle vinyls WILL NOT damage your vehicles or their paint. You can get the cars branded for your purposes. The prints can then be peeled off once you have to the return the vehicles.